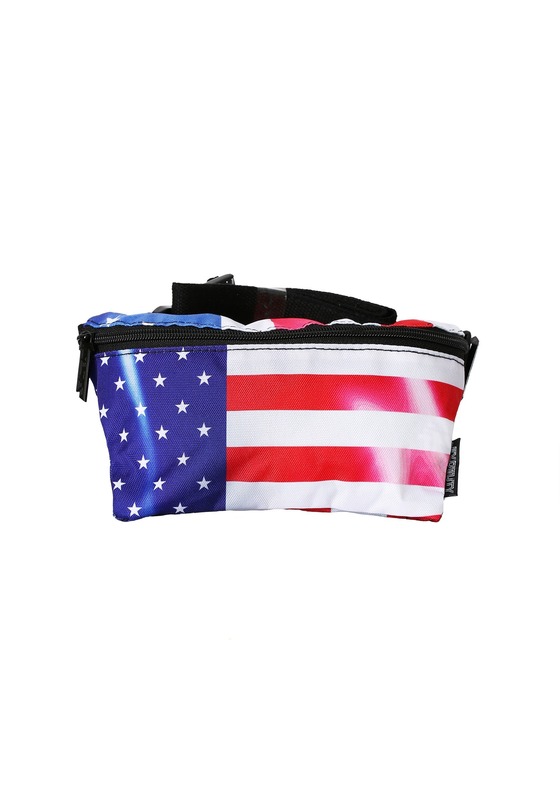 Which U.S. Presidents do you think would wear this America Flag fanny pack? George Washington probably would have. The fanny pack is known for its utilitarian purposes and George loves that flag, so we think he’d be ready to wear it. What about Van Buren? Have you ever seen that guy’s hair? Of course, he’d wear a fanny pack. That guy definitely could have used it to carry a comb with him. What about Theodore Roosevelt? We think he would. A fanny pack is a pretty handy spot to keep your mustache wax, which he obviously uses a lot of during his tenure as the President. Nixon probably wouldn’t have worn it. Bill Clinton? Yeah, he’s one funky president. He’d probably wear it. Of course, you don’t need to be a U.S. President to wear this American Flag fanny pack. Any patriotic person can strap it around their waist! You see, it has the U.S. Flag pattern on the exterior and a handy little pocket on the interior. That means you can wear it on the 4th of July and you can use it to carry all of your necessities! Of course, you could also grab one of our American President costumes and wear this fanny pack around your waist for patriotism to the max!